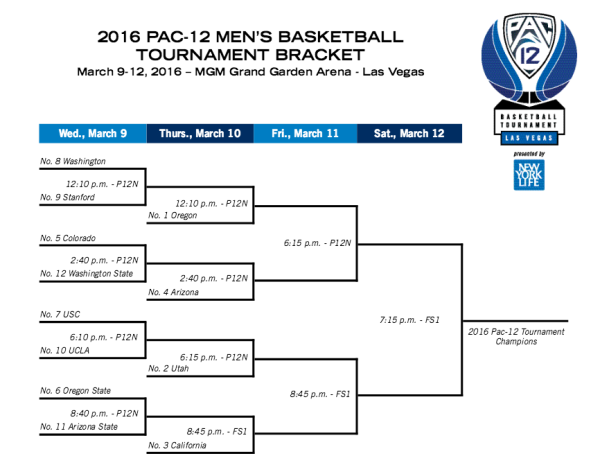 We’ve spent the last several months marching to Vegas, so let’s tip things off a bit later today with our Pac-12 Tournament preview. This may not be the very best version of the Pac-12 Conference in its illustrious history, but it is a certainty that this has been a strong and deep conference. For Oregon to win 14 games this year against an unbalanced in-conference schedule tougher than that of either Utah or Arizona is impressive. While the Ducks’ lack of depth (310th in the nation in bench minutes) is concerning in a three-game/three-night scenario, they’ve done enough to prove that they’re the best team in this conference until proven otherwise. The Utes opened conference play by getting swept at the Bay Area schools followed shortly thereafter by an 18-point loss to Oregon at the Huntsman Center. Since that loss, the Utes have won 12 of 14 games (with another loss to Oregon among those two) and the issues that were apparent in January — Brandon Taylor struggling; Lorenzo Bonam learning; a soft front line; chemistry questions — have all been addressed. The Utes still need to prove that they can play with Oregon, but they are rolling right now and could use a strong Pac-12 Tournament performance as a springboard into next week. Limiting this decision to a team that will be playing in today’s opening round, there are plenty of good choices: Washington, Colorado, Oregon State and both Los Angeles schools could make a case for themselves. 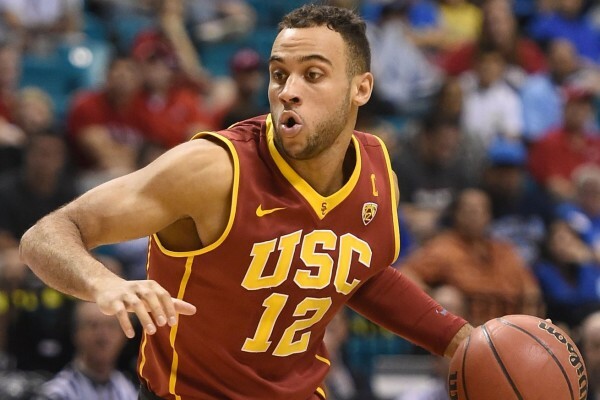 At times this season, however, USC looked like a team in need of just a bit more experience before it could play with any squad in this conference. The Trojans have since struggled mightily, but if they can knock off crosstown rival UCLA for the third straight time (KenPom lists USC as a one-point favorite) this evening, that victory could provide a confidence boost to push them through the rest of the week. Every team south of Colorado in the standings needs to get some work done this week, but Oregon State is the squad most squarely on the NCAA Tournament bubble. With teams like Wichita State, Valparaiso, Saint Mary’s and Monmouth battling with the other bubble teams for the coveted final at-large spots in the Big Dance, the Beavers can’t afford to slip up in their opening round game today against Arizona State. If Wayne Tinkle’s team really wants to feel comfortable, it will also need a quarterfinals win over a hot California team, but anything is possible in this year’s Pac-12. You can’t really go wrong with any number of possibilities for the championship game, especially if any combination of the top four seeds plays on Saturday evening. But after California ran the Ducks off the Haas Pavilion floor by 20 points in the middle of February, Dana Altman’s squad has something to prove against the Bears. The prospect of watching guys like Chris Boucher, Jaylen Brown, Dillon Brooks, Tyrone Wallace, Tyler Dorsey and Jabari Bird going hard at each other in the open court is especially tempting. Washington, Stanford and UCLA all need to pull off the unthinkable in Vegas this week if they want their seasons to continue in any meaningful way. In order for something like that to happen, each team will need big final performances from their seniors. Washington’s Andrew Andrews has already proven his ability to carry a team, as evidenced by his 47-point outburst in the Huskies’ final game of the regular season. He’ll lead his team against Stanford’s Rosco Allen in today’s opening round, and the Cardinal will definitely need their greatly improved senior to come up big. Then there are the Bruins, the Pac-12’s most disappointing squad. In order for UCLA to salvage its season, senior center Tony Parker needs to go out with a bang — scoring in the post, staying out of foul trouble, and finding a way to minimize his defensive struggles. This entry was posted on Wednesday, March 9th, 2016 at 9:31 am by Andrew Murawa	and is filed under feature, microsites, pac 12. Tagged: andrew andrews, arizona, cal, oregon, oregon state, Rosco Allen, tony parker, usc, utah. You can follow any responses to this entry through the RSS 2.0 feed. You can leave a response, or trackback from your own site.